Federal Oversight of Marijuana Safety? A U.S. Senate panel with considerable power in the federal government is pressing federal agencies to wade into the marijuana industries in ways that some might find surprising. Specifically, there is a request that federal safety testing be conducted on products made by marijuana dispensaries in states where the drug has been legalized. Such standardized marijuana testing could help customers have confidence that their products are safe. Lack of information on the purity and potency of marijuana products distributed to U.S. consumers is of major concern, according to the U.S. Senate Appropriations Committee. That’s why its members are asking that federal agencies work together to develop a standard, national testing program for Schedule I products made from marijuana. 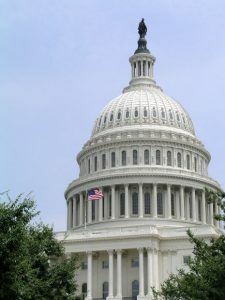 The appropriations committee’s recent report instructed qualified scientists at the National Institute on Drug Abuse as well as those working with the U.S. Drug Enforcement Administration to start work on samples of marijuana in order to give the federal government better data that could be used to provide better policy solutions to help protect consumers. Up until three years ago, the NIDA provided funds for a program that tested samples of cannabis law enforcement seized. However, the federal agency has never formally researched marijuana products legally sold to consumers under an increasing number of state legalization laws. The Senate committee reported that if research on illegal marijuana could be used alongside research on legal products, it could bolster efforts to prevent abuse and ensure products being sold legally to customers conform to certain safety standards. It could ultimately inform public health and law enforcement policy, the agency said. Still, our marijuana research attorneys not clear how the program would be carried out. Historically, research on marijuana products has either been forbidden or severely restricted by the federal government, which under the Controlled Substances Act considers cannabis to be a dangerous Schedule I narcotic with no medicinal value. This was noted in the appropriations’ committee’s report, citing concern the CSA would inhibit valuable research on Schedule I drugs – marijuana in particular. The committee opined it was important for federal researchers to glean as much information as possible about these substances, particularly marijuana, its derivatives and its synthetics. Senators asked the NIDA to provide some type of an update on the types of barriers that exist to researching Schedule I narcotics and compounds. The Schedule I classification, given to those drugs deemed to have a high value for potential abuse, are the most severely restricted in terms of research. The scientific community has long griped about the fact that this classification makes it particularly difficult to study drugs that warrant more study – not less. The committee also noted that marijuana and its derivatives could help in the fight against the growing opioid addiction crisis. There is already some evidence to support this theory, but more research is needed. Lowered addiction and overdose rates among those who use marijuana and its derivatives grabbed lawmakers’ attention. This is the same panel that previously gave the green light to a measure that would protect state medical cannabis laws from interference from the federal government and also allow members of the U.S. military to receive medical marijuana recommendation via the U.S. Department of Veterans Affairs.